Pineapple juice has all the nutrients needed for the body in abundance. It has an enzyme, Bromelain and Vitamin C in abundance which helps in recondition the body. 1. Nourishes the skin – Has a abundance of Vitamin C which helps in promoting good skin and maintain elasticity. 2. Helps reducing weight – Because of its high fiber content it takes a long time to digest which gives the feeling of fullness to the stomach. It converts the sugar into thiamine which in turn helps in increasing the metabolism in the body. 3. Helps in regulating the thyroid function – The enzyme Bromelain and iodine present in the pineapple juice helps in regulation of the thyroid hormone. 4. Helps in strengthening bones – The manganese present in the Pineapple helps in strengthening the bones. 5. Balances the electrolytes in the body – The potassium present in Pineapple juice helps in maintaining the equilibrium of electrolytes in the body. 6. Whitens the teeth — The abundance of Vitamin C contributes to make the teeth white and prevents the formation of plaque. Smile of a beautiful young woman. 7. 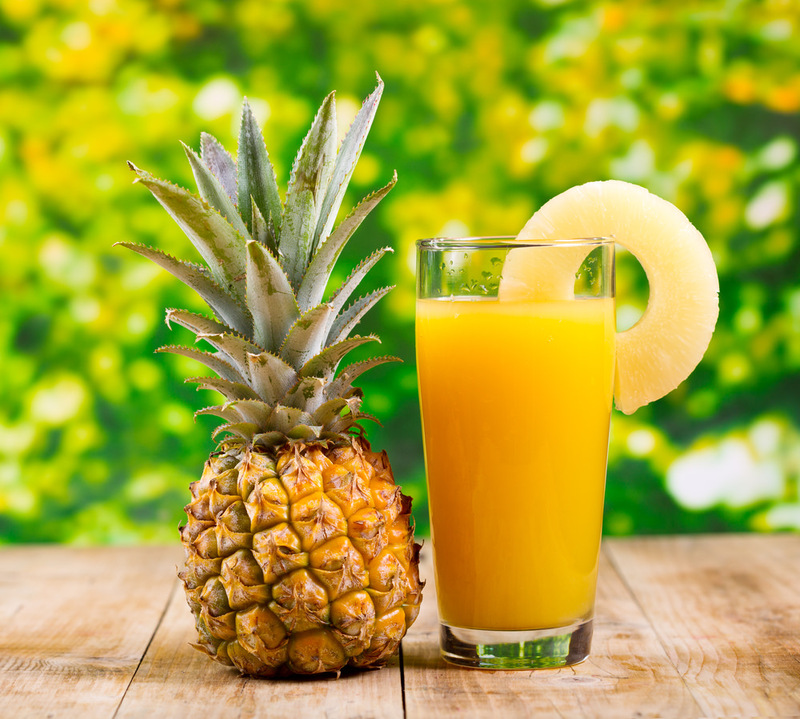 Helps in easy digestion – the enzyme Bromelain with the proteins in the pineapple juice helps in easy digestion. 8. Helps in keeping eye healthy– The beta carotene and Vitamin A present in the pineapple juice helps in keeping the eyes healthy. 10. Helps in strengthening gums – The bromelain present in the pineapple juice is known to eradicate the plaque and helps prevent tooth decay. 11. Increases the Immunity – As the pineapple juice is loaded with Vitamin C and other nutrients it helps in increasing the immunity keeping you strong and healthy. Loaded with so many nutrients the pineapple juice is a must have to prevent the risk of health issue. So remember to include it in your diet.